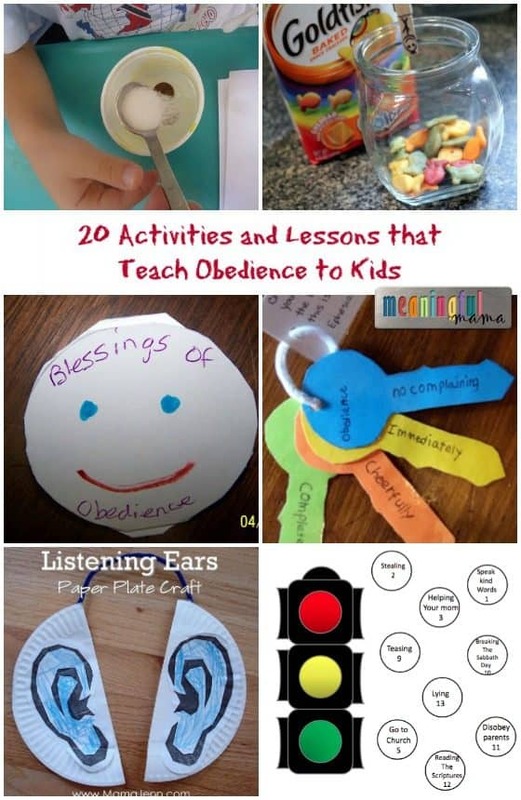 These 20 Activities and Lessons that Teach Obedience to Kids will help equip you to teach kids to obey. 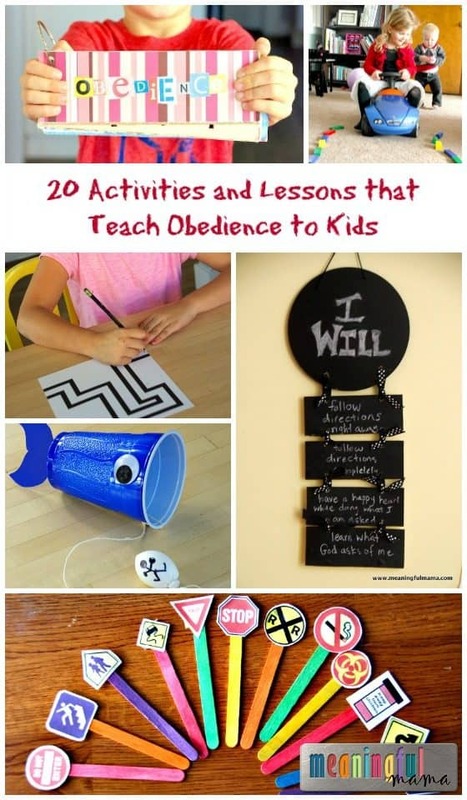 The word “obey” has gotten a bad wrap over the years. 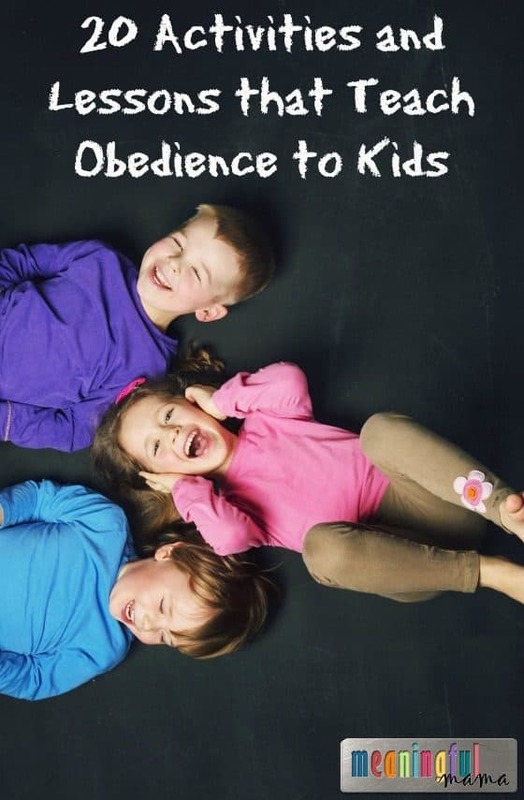 Before you jump into this post and all it has to offer, join me in considering the questions, “Is Obey the New Four Letter Word?” In that post I challenge the concept that teaching obedience is out-dated. This post is a part of my character development series. If you are new to my character development series, let me tell you a little bit more about these lessons. If you check out my character development tab, you will discover 52 character traits we work on throughout the year, which equals one word per week to focus on with your kids. Hovering over the tab will reveal all of the words. Each character trait has 7-9 lessons, so if you wanted to work on character daily, this can be an amazing resource. This year, I want to focus on cleaning up my series by presenting the lessons to you be compiling all of my lessons on a particular week, this week focusing on obedience. 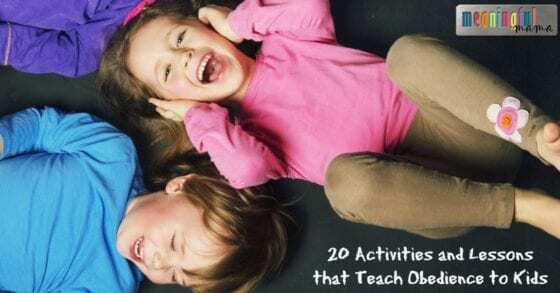 In this series, you will find a word, definition, scripture to memorize, book lists and a number of activities and crafts related to the topic. I have also included links to other bloggers who have lessons on the trait. I hope you are inspired to work on character with your kids because being intentional in your parenting will help give great direction to both you and your children. You have a wonderful blog, with a lot of great ideas and crafts. Thank you for all your hard work. Thank you for the link to my blog: //coloringpagesbymradron.blogspot.com/ I will put a link there to yours.